There are a number of articles in the just released May issue of Social History of Medicine that may be of interest to AHP’s readers. 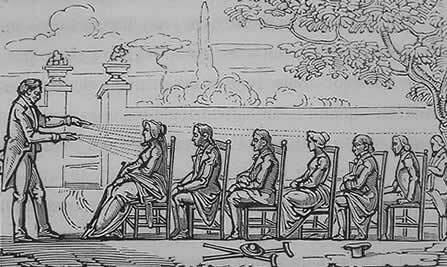 In a piece on music and hypnosis, James Kennaway explores the long and complicated relationship between music and selfhood from the time of Mesmeric uses of the glass harmonica (left) to more recent concerns about brainwashing. Additionally, two articles in the issue explore aspects of asylum history. The first discusses the role of the Irish Famine of the 1840s in Irish asylums, while the second explores efforts to control suicide in English public asylums in the latter half of the nineteenth century. A further piece delves into views on alcoholism in mid-to-late twentieth century Yugoslavia. Full titles, authors, and abstract follow below. Music has long been associated with trance states, but very little has been written about the modern western discussion of music as a form of hypnosis or ‘brainwashing’. However, from Mesmer’s use of the glass armonica to the supposed dangers of subliminal messages in heavy metal, the idea that music can overwhelm listeners’ self-control has been a recurrent theme. In particular, the concepts of automatic response and conditioned reflex have been the basis for a model of physiological psychology in which the self has been depicted as vulnerable to external stimuli such as music. This article will examine the discourse of hypnotic music from animal magnetism and the experimental hypnosis of the nineteenth century to the brainwashing panics since the Cold War, looking at the relationship between concerns about hypnotic music and the politics of the self and sexuality.